In 1916, lumberman Bill Boeing set to work building an aeroplane in a boathouse in Seattle, crafting his single pontoon plane from canvas and wood. Today, Boeing is the world’s largest aerospace company. 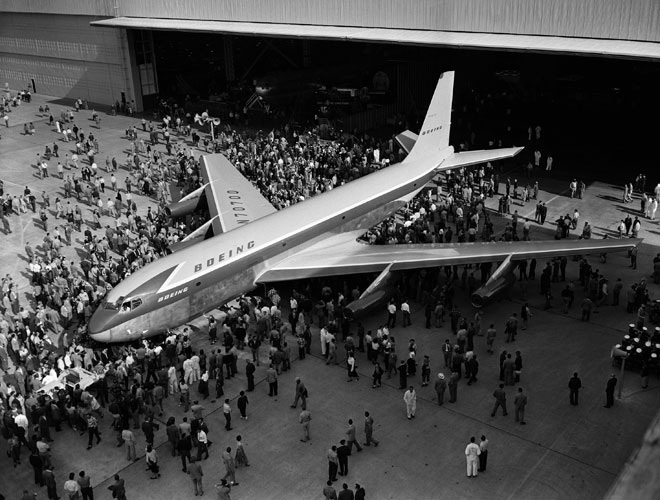 A new book out next month, Higher: 100 Years of Boeing, tells the story of the brand and of the socioeconomic backdrop against which its fortunes have played out since Bill first rolled up his sleeves. Written by Pulitzer Prize-nominated author Russ Banham and packed with archival photography, Higher is no puff piece, and as much a study of ambition and ingenuity as it is of planes and spacecraft. This article was originally posted by British Airways.